The AP-VP04S VPorter System from Smart AVI is a kit designed to work in conjunction with the Smart AVI Xpander card and software. 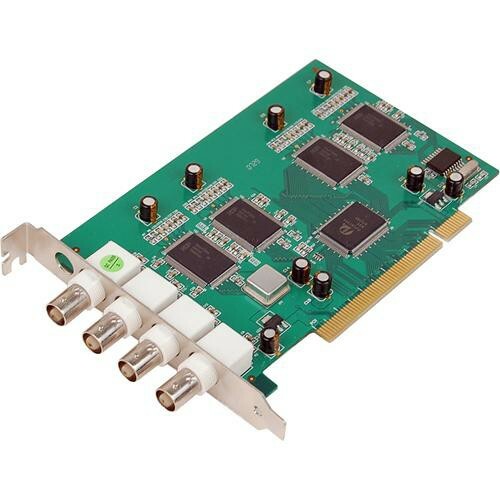 This bundle includes the VPorter PCI card with a BNC-to-RCA adapter. When combined with the Xpander solution, this VPorter card provides up to (4) separate video overlay windows. Use it to import (4) video sources such as cameras, DVD players, and satellite boxes to your video wall. The VPorter can be position and sized anywhere on the video wall. This solution allows you to combine video and data on your video wall. It is well suited for applications including command-center control rooms, communication hubs, convention facilities, and network operation centers.